Barber Marina is a world-class marina located on the Intracoastal Waterway at Day Marker 74, just north of the City of Orange Beach, Alabama. Marina amenities include concrete floating docks capable of mooring vessels greater than 100' and a 400 slip dry storage building capable of handling boats up to 42 feet and 42,000 lbs. 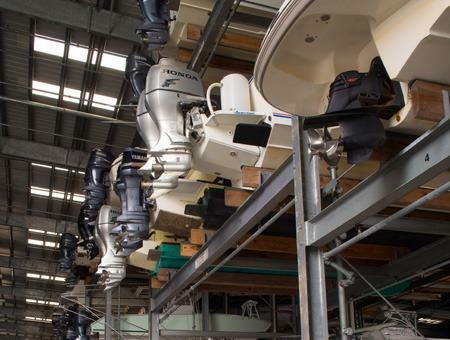 Other marina amenities include a ship store, gasoline and high-speed diesel pumps, restrooms, showers, laundry facilities, Wi-Fi internet service, pump-out facilities, 24 hour security & video surveillance, full service boat yard, and a marine service center with factory trained technicians. 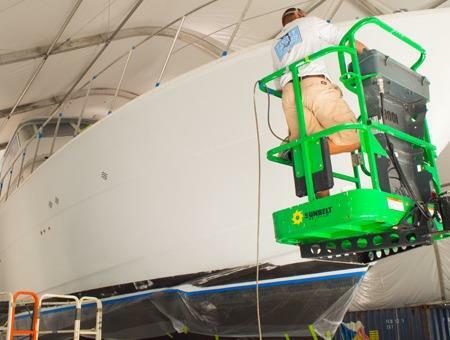 In addition to providing a world-class boating facility, the staff at Barber Marina is committed to providing exceptional customer service whether you own a canoe or a mega yacht. Visit our marina and judge for yourself. Our professionally trained and certified technicians have the skills and tools required to perform service work from maintenance to major rebuilds. Enjoy the convenience of professional wet and dry storage. We'll prep your vessel before use, care for it after use and keep it safe between uses. 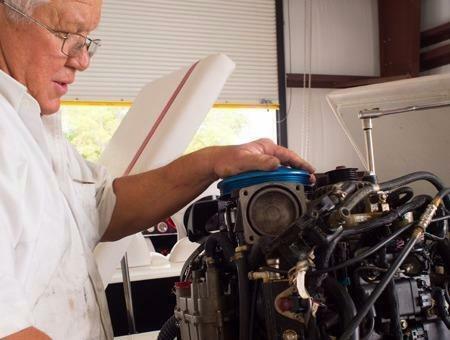 Barber Marina has the facilities, tools and experienced staff to provide a wide array of marine repair services. We offer fast work at competitive rates.